What if you decide to be “authentic” and share absolutely everything? Let’s be honest – we have all been there to some extent. We all do distort and even if not that, then at least filter, exaggerate and/or change the reality while posting on social media. Because let’s be real – no one want to share the not so pretty part of our lives. And even if some of us are really brave enough to do it, then what is left for the people that we are really close to in real life? I mean, if I completely open up to all my 2,6k Facebook friends and over 10k podcast listeners, then how will my closest friends feel that there are not in the same group with the other 12,6k people I have not even met in person, right? Or looking at it from the others side – who said that all those people on social media care about my personal life, what I ate for breakfast and how exactly do I feel about politics, religion and certain people. Probably no one needs to know about the exact airport, destination and flight delays when I’m traveling (and those who feel like they wanna know seem a bit creepy to me). People create their alternative life reality for branding purposes? I know many people who keep giving out the worst advice ever. They do that way and want us to follow the same path. And the advice is: Fake it till you make it! And that’s exactly what many do on social media. They fake things. Those who don’t completely fake their life, show it from the most attractive angle. They select the things to share and those things usually will leave the wrong impression. The thing is – probably the car is not his and the clients are non existant. Many inflate their success and completely hide their failures. And somehow, a s a result you end up with a newsfeed of happy couples, successful entrepreneurs, exciting life events, etc. Well… maybe they lack self-confidence and need re-assurance in form of likes, follows, encouraging comments, etc? And as a result we feel depressed and think that we failed. But I stopped comparing myself to others. I stopped caring much about how “more successful” they all are. I stopped caring if I get into the top lists at all (top 100 social media influencers, top 100 blah blah gurus, etc…). I stopped feeling obliged “being authentic”, “sharing and creating my life story” and “providing value” to my social media followers. I gave myself permission to be free. Freedom to be myself. Freedom to create content only when I’ve got something to share. Freedom to keep the things I think are private, private. The freedom of voicing unpopular opinions. Have you joined our group already? Not Yet? Well don’t be shy – come over! Today I am talking to Desislava Dobreva. She is a brand strategist, personal branding expert and the founder of the Social Media Badass Academy. Desi created and developed her personal brand thanks to Facebook first, and then moved to other channels too. She started as a freelancer and now she is online entrepreneur helping people build their personal brands from scratch and be able to monetize. Her biggest challenge, in the beginning, was choosing a niche. Just like me, she has many interests and picking only one and sticking to it has been hard. What helped her deciding which niche to choose were the big questions mentioned below that she asked herself. What type of lifestyle do you want? What are you so passionate about that you would like to do for years to come? 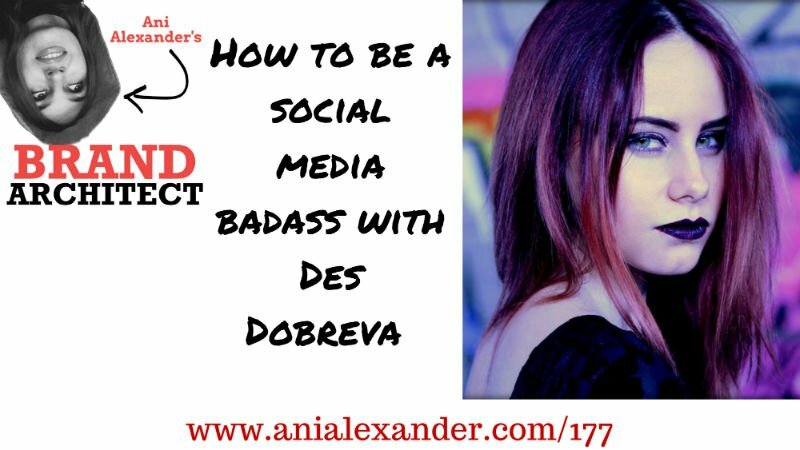 What helped Dessi most in the journey to success were joining communities and eventually founding her own community – Social Media Badass Academy. And this is the 4 step process for transitioning from free services to paid one. If you don’t get personal with your audience from time to time they will lose interest. People want to take every chance to bond with you. 2017 is going to be the year of livestreaming. People don’t pay you based on what they think you can give them, they pay you based on what they have heard about you from others. Your reputation is what sells. My clients are not just clients – they are friends. 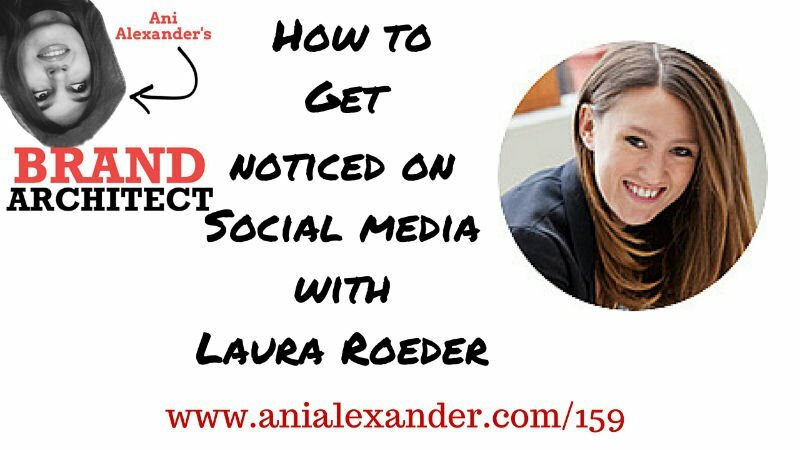 Today my guest is Laura Roeder. Laura Roeder is the founder of Edgar, a new social media automation tool designed to prevent updates from going to waste. Since 2009, she’s been teaching entrepreneurs how to harness the power of social media marketing and create their own fame at LKR Social Media. Laura was named one of the top 100 entrepreneurs under 35 in 2011, 2013 and 2014 and spoke at the White Houseabout the value of entrepreneurship. If you enjoyed the podcast please make sure you subscribe to it below. John Paul Aguiar is the founder of the Money Dummy blog. He is a Internet Entrepreneur – Social Media Consultant and Experience Online Marketer. Within 11 months, John Paul was making enough money online, that he was able to stop receiving his Disability checks. He took that success and brought it to blogging and has used his marketing know how to build a very popular, successful blog with a total following of over 110,000 in less than 2 yrs. 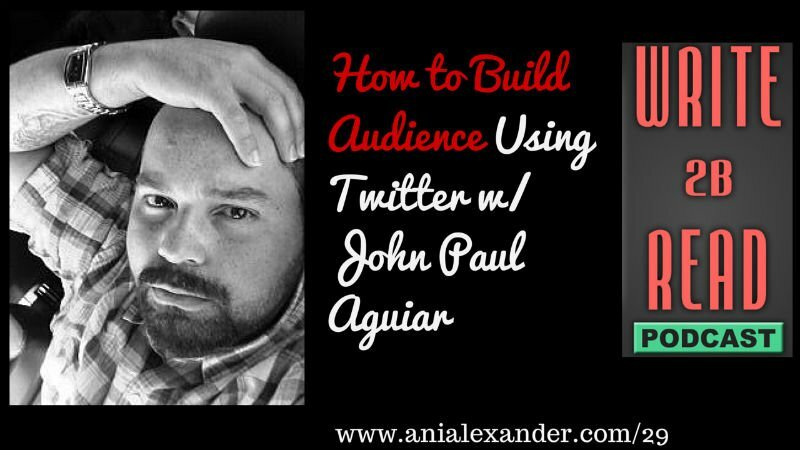 John Paul was #6 on Forbes Magazines Top 50 Social Media Influencers List in 2013. “Twitter is easy to drive results from if you use few things correctly. While using Twitter be active and share content. Your stuff + other people’s stuff (related to what you do) + 10-15% random stuff + little bit of you = Twitter success! When you are on Twitter share great stuff. If people like what you’re sharing they’re gonna look at you and pay attention to you and start sharing your stuff. You wanna be active and available on Twitter – answer to questions, reply to comments and thank for the retweets. The only way to get people’s attention is with content. And the only way to do it is to have a blog where you put your content. Don’t forget to get the free resources I’ve created for you!